Another new shop in Uptown Damansara which started their business few months ago. 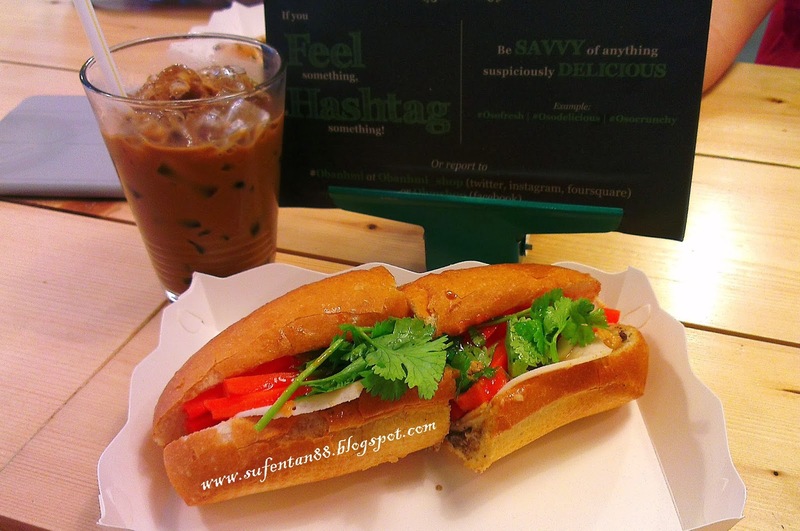 A shop selling nothing but authentic Vietnamese sandwich only. I heard of Vietnamese cuisine but for baguette it is my first time. 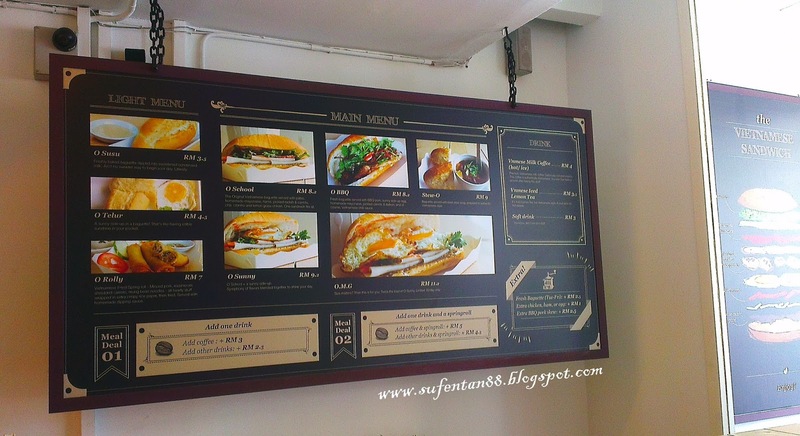 Never seen this kind of shop here in KL, I guess this was the first Vietnamese Baguette in town. Menu is shown on the big board at the entrance. The variety is not many but it is enough to give you a headache in choosing if you are new to the place. Ordering is make from the counter, once you ordered and paid, they will give you a number. 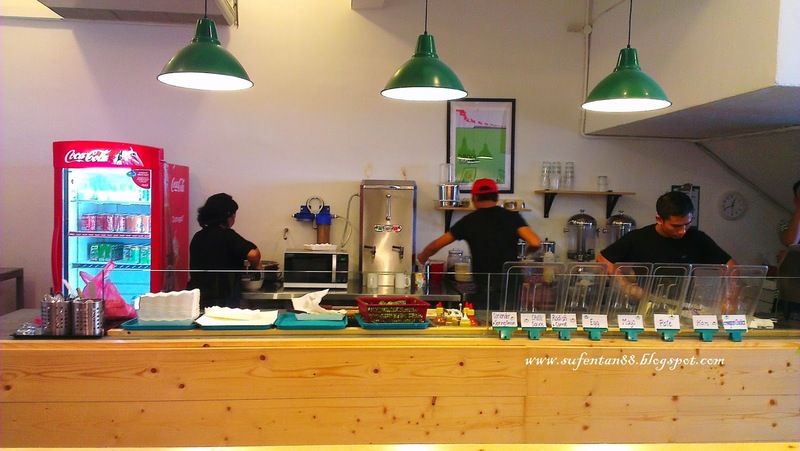 The open concept kitchen is where you can see how they prepare the sandwiches and drinks. All clean and tidy! Each ingredients are labelled at the kitchen table as well for your understanding of the ingredients. All baguettes are freshly made daily. 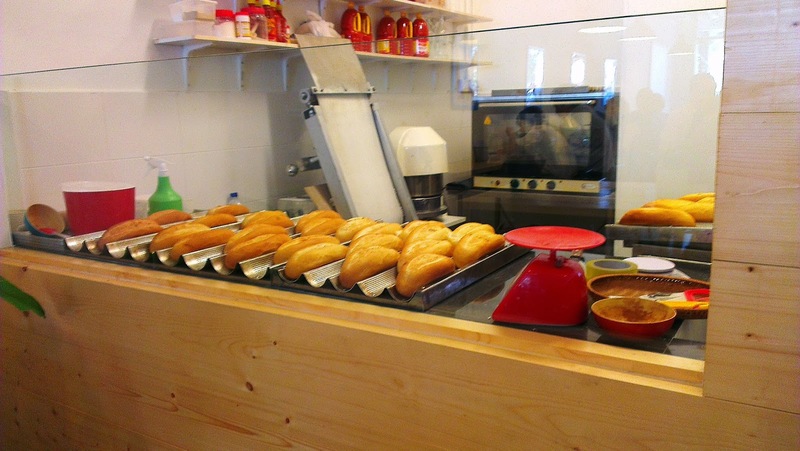 There is another corner of the shop where they placed all freshly made baguettes. Fresh baguette served with BBQ pork, sunny side up egg, homemade mayonnaise, pickled carrots and onions, and chilli sauce. I am not a coriander person although it smell better with it, I decided to remove it and it still taste splendid. The first time trying for me, I give it a thumb up. I love their crunchy baguette, never too hard to chew! The ingredients inside just blend very well with the baguette. 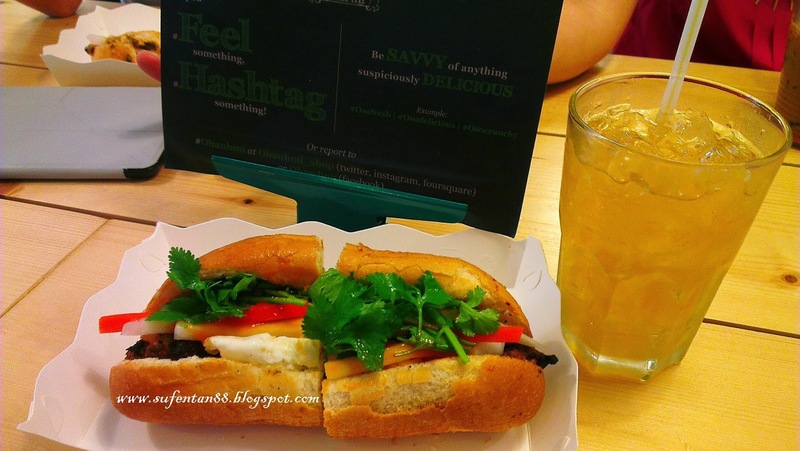 I ordered Vietnamese Ice Lemon Tea with additional RM2.50 if you order their baguette. The ice lemon tea taste very refreshing but mild taste. The original Vietnamese baguette served with pate, homemade mayonnaise, hams, pickled raddish and carrots, chilli, corriander and lemon grass chicken. My friend ordered this but seem like the taste was too mild for her. Overall was good on the baguette, it just the sauce wasn't enough in the bun itself. She ordered Vietnamese Ice Coffee, however it wasn't the prefect one for her. I love their crunchy baguette, definitely coming back to try on their "size does matter" O.M.G and spring rolls. Give it a try, I bet you will love it like me!